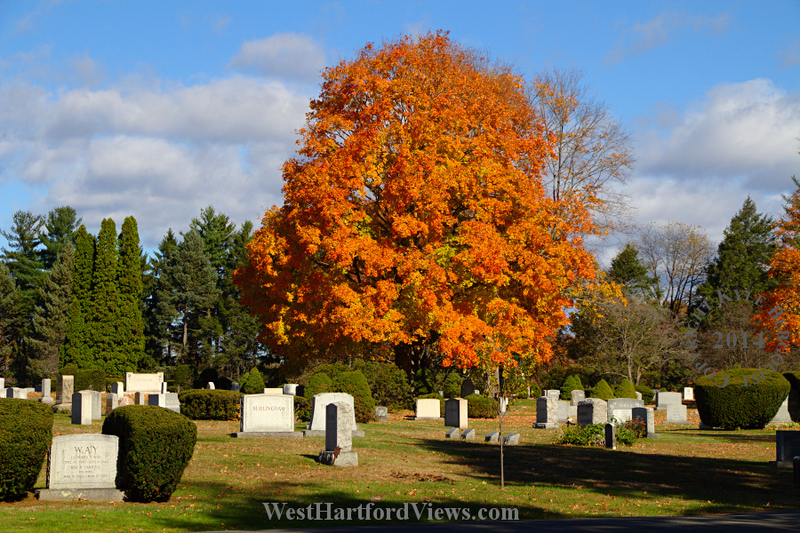 A beautiful maple in the Fairview Cemetery with a full complement of orange leaves. 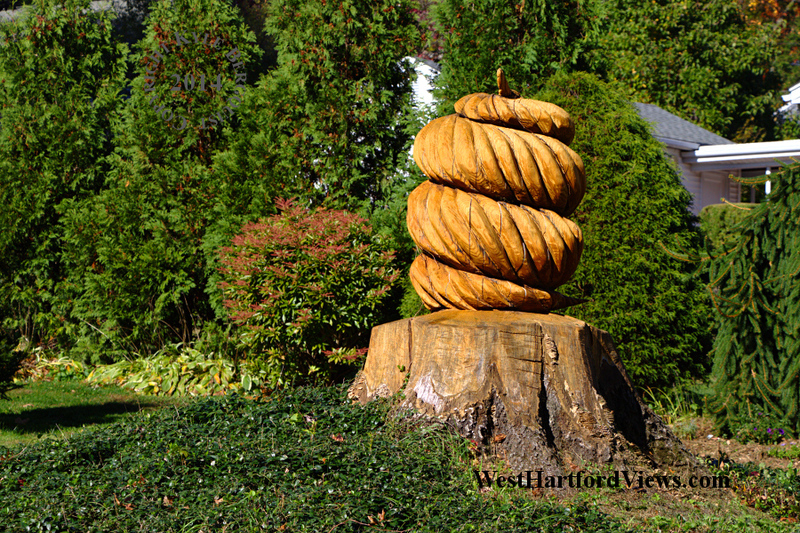 Homeowners have choices when it comes to tidying up after a tree comes down … this owner chose sculpture. Loved the little ghosts hanging from the tree as I drove by, and had to stop for a quick picture. One week until Halloween! 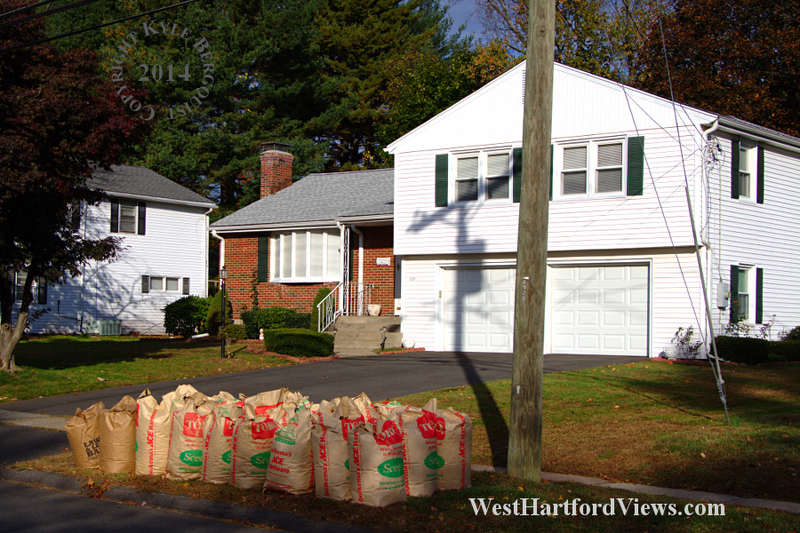 This homeowner wins the prize for leaf bagging with nine lined up for collection three rows deep. That’s a lot of leaves. 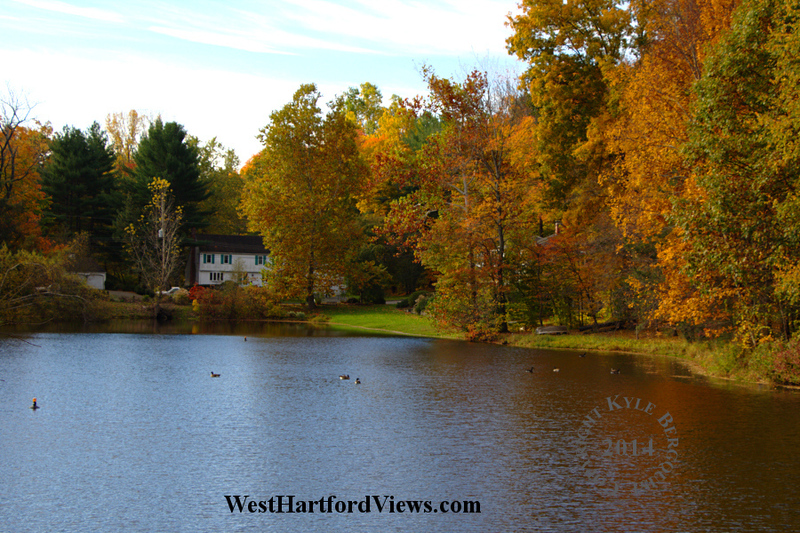 A lovely day overlooking the lake on Beacon Hill Drive. 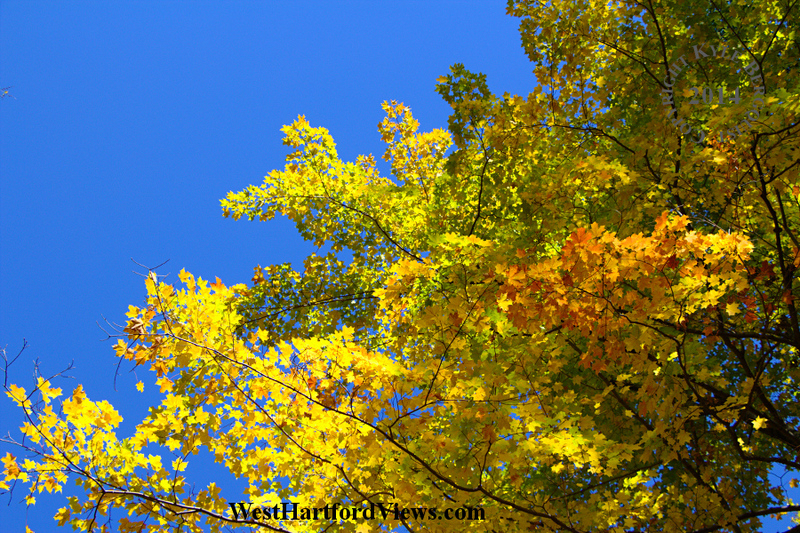 The leaves are turning throughout West Hartford … it’s officially fall in New England. 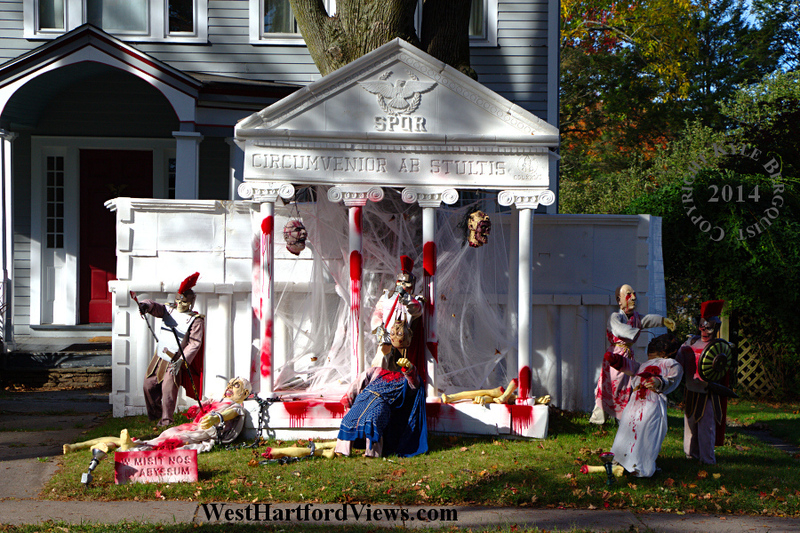 Just north of Fern on North Main, there is an elaborate Halloween display. It’s a scene from ancient Rome, of which this is just a portion. Be sure to slow down the next time you drive by. 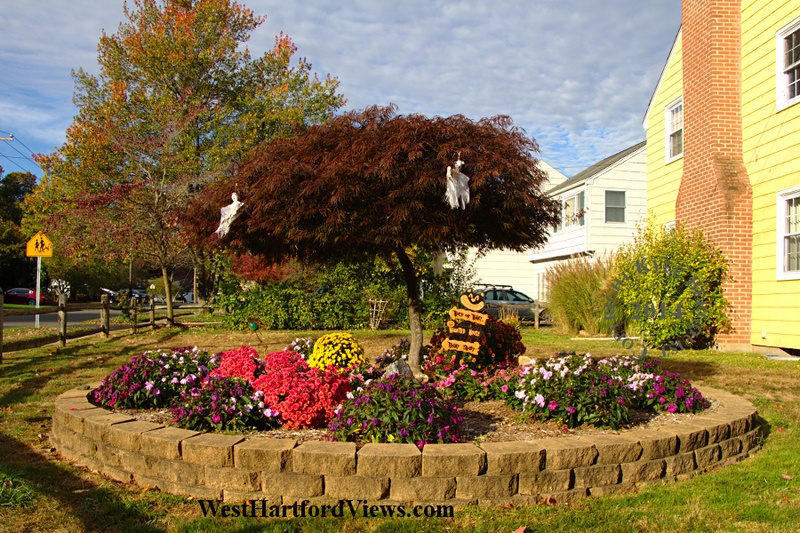 The Halloween decorations are up near the Pond House at Elizabeth Park. 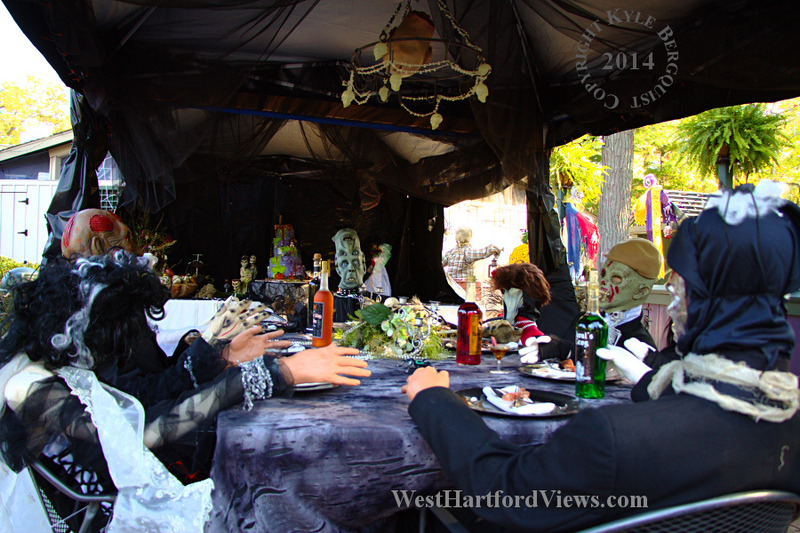 It’s an extensive display, though some of the vignettes are a bit gruesome … definitely worth seeing in person. 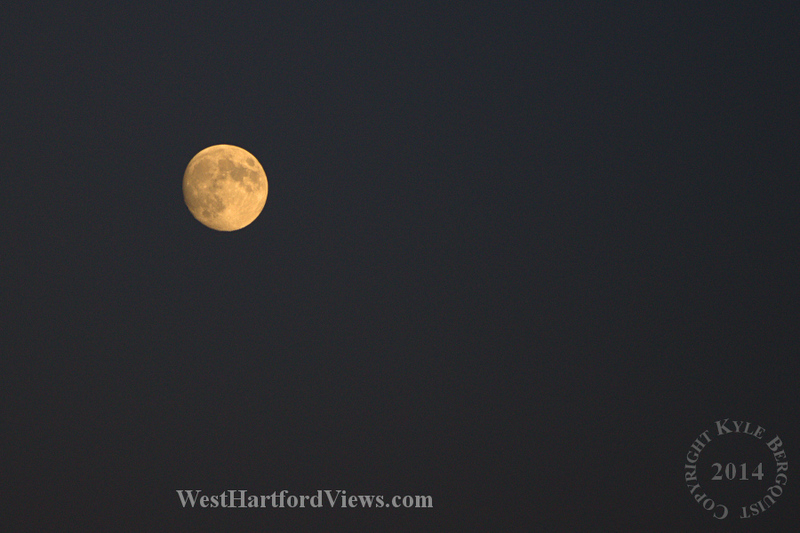 I’ve never had much luck photographing the moon, but this shot has a good amount of detail. Darkness comes much earlier these days, and it’s always a difficult adjustment. 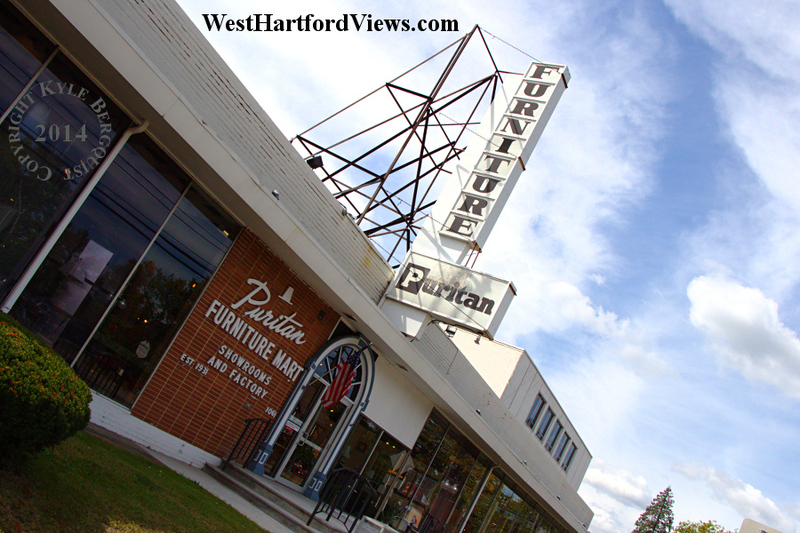 An iconic sign from New Britain Avenue in the Elmwood section of West Hartford. I couldn’t resist photographing this scene; multiple things caught my eye. 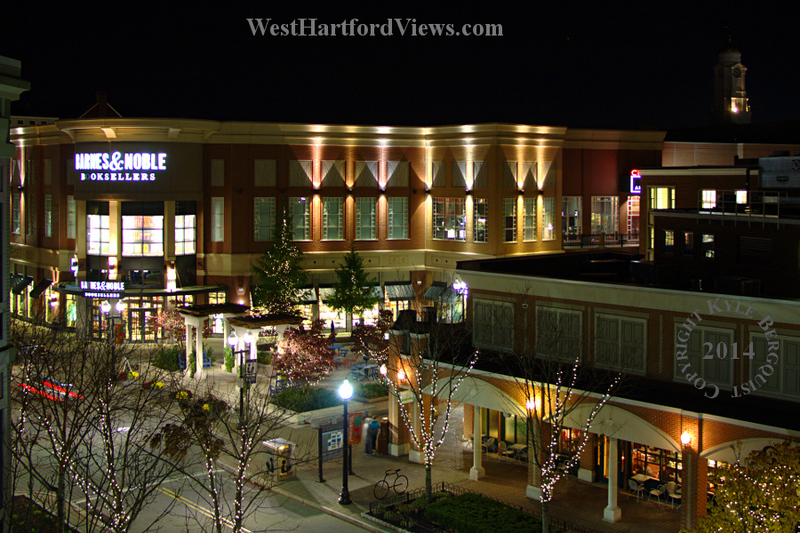 The lone tree, perfectly manicured, was first. Next the light pastels of the flowers in bloom. 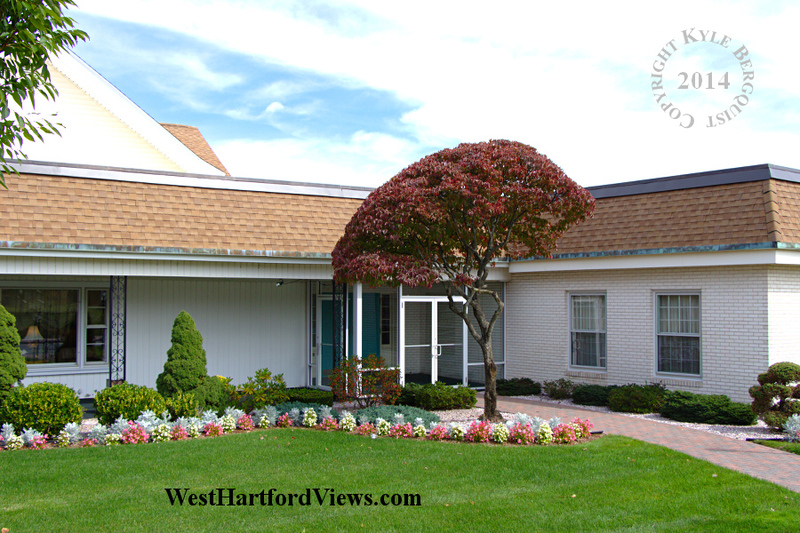 And finally the meticulously maintained building. Not a typical scene, but an interesting one.